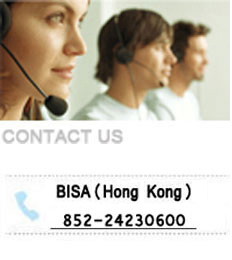 BISA participated the Cards Asia 2010 held from 21-23 April 2010 in Singapore Suntec Exhibition Centre again. Technology & Police Equipment Exhibition 2010 held from 20~22 Apr 2010 which aims at showing advanced prison management solution. 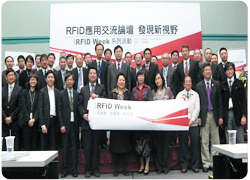 We were pleased to attend Taiwan 2009 RFID Week held from 14-17 December 2009 which showcased all RFID related enabling industries in Taiwan. BISA will attend RFID/ USN Korea 2009 being held from 6~9 Oct 2009 Songdo Convensia, Incheon, Koreal. Bisa Technology (Shenzhen) had attended 2009 International RFID technology and logistics, industry, security applications show held in Shenzhen Exhibition Center in June 24 to 26, Bisa? focused on display wrist tag, vibration tag, addressing tag, temperature tag and other active 2.45GHz products. BISA (Shenzhen) attended China Shenzhen International Material Handling Exhibition, May 23-25, 2009 in Shenzhen Convention & Exhibition Center. Being devoted to the application of active RFID in all the industries, BISA always focuses how can active RFID products optimize the management in Logistics industry. This time, BISA would exhibit the new fruit in logistic area, especially in the cold supply chain. organised by Hong Kong Delelopment Council which aims to promote the high technology and design solutions to the worldwide. BISA had a speaking at the Technology and Design Services Presentation at this event.We mainly showed the new product and prompted the RFID business to our customers. We had met with many potential customers and generated many new enquiries from local and overseas visitors. which was held on Oct.
attracted many retailers' attentions,just like a super star. We meet many potential customers in retailer industry. HighTech Fair in Shenzhen . RF technology in Guangzhou Province,and also. increase our images and expand active RFID market all over the world. 2008 at MGM Grand Casino and Resort in USA. Electric China Sources in Dubai Int'l Convention & Exhibition Centre United Arab Emirates. We meet many potential buyers that increase our images and expand active RFID market. BISA has participated at the China Sourcing Fair: Electronics & Components October 2007 which was held on October 12-15, 2007 at AsiaWorld-Expo, Hong Kong. exhibitions to introduce the latest RFID technologies application and solutions. BISA has took part in this exhibition organized by RFID China Alliance to introduce the latest, which aims to widen our global market opportunites.